While I usually just shrug off the latter question, the first one is one of my favorites, because the answer is actually fairly obvious. Ghost Towns come in a variety of different ways: they might have several paved roads, or they only exist as a cemetery, or they are surrounded by people’s well-kept homes, or they have a post office, or they have a city hall, or they are inside a state park. 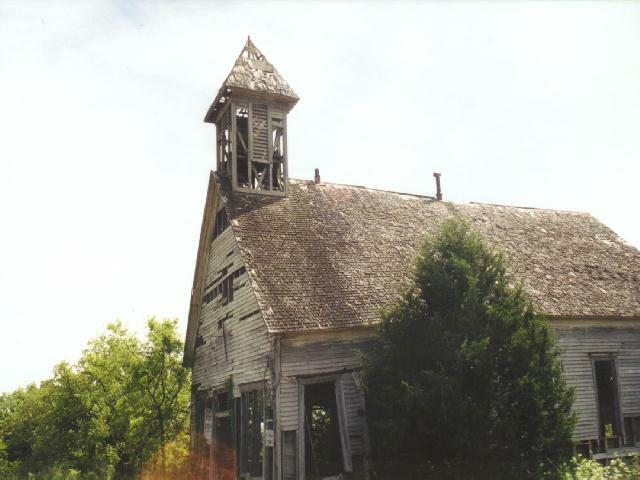 Whatever and however they represent, the constant in a ghost towns is that it no longer has a school. Believe it or not, the United States has always been a big believer in education. A mere 30 years after the Puritans came ashore, they formed Harvard. In quick succession, several other schools opened, with an emphasis on literacy and reason… the idea being that men and women both should be able to read the bible and conduct trade in a free market economy. Their zeal to be educated led the colonists to read treasonous philosophies, print banned books, and question authority. After all, Thomas Paine would not have been well received by a people who could not exhibit critical thinking skills. 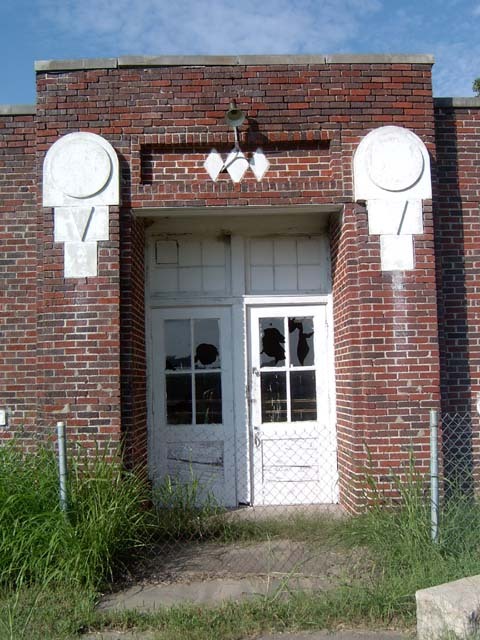 Thus, often the first public building erected by a fledgling community was not a courthouse or a church, but a school (in Texas & Oklahoma, I’ve discovered that many towns’ first building was the Masonic Lodge, which doubled as a school during the week). Having a school meant the town believed it had a future. Schools embodied optimism. As modern economies of scale encroached on communities, centers of trade began to shift (when you want to visualize “economies of scale,” just think about a local hardware store versus Home Depot, or the small grocer versus Wal-Mart). Kids who might have stayed in their towns after graduation discovered that they had to move to larger cities to take advantage of opportunities there. Their progeny went to the larger schools, which became ever larger, and so on – until the small town schools had to close their doors. There’s nothing sadder than a shuttered school. It’s as if the locks on the doors murdered the very soul of the community. No longer are school events like football season, the big dance, or the open house the focal point. Everyone in a town – regardless if one had a kid in school or not – invested in the school in some way. Without it, the citizens of those towns lose their commonality. 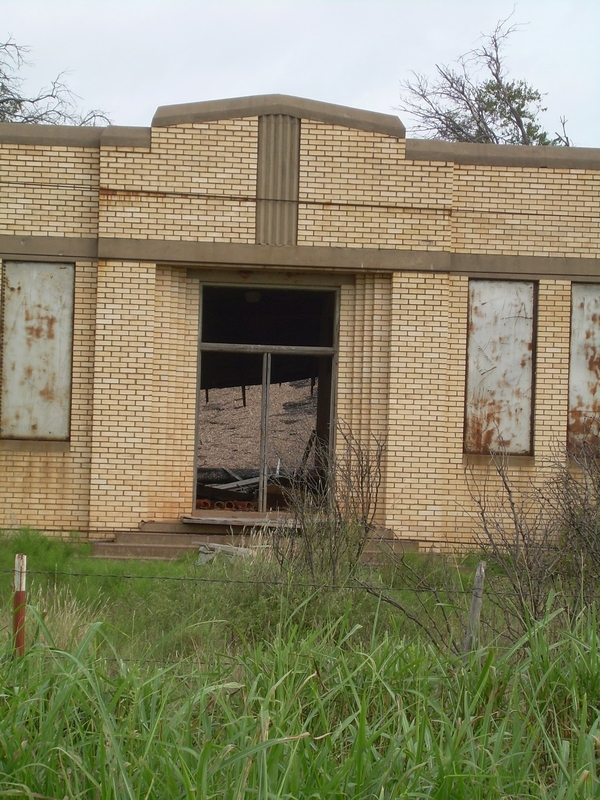 Little towns like Ravenna (Fannin County, Texas) or Dougherty (Carter County, Oklahoma) might not like having me denote them as “ghost towns.” After all, they still have town halls and post office, and maybe a gas station or two. But, without their schools, they only exist as an outpost of the bigger cities in their midst. And that is the simple answer to a seemingly complex question.